These two cranes caught my eye and just encapsulate how much West Ealing is changing. 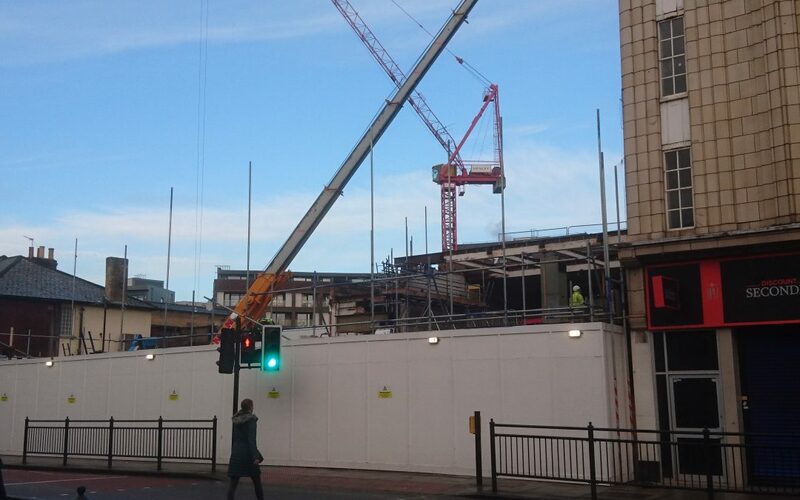 One crane is on the site of the new mosque and the other on the BHS site. Both these buildings will radically alter the local skyscape in the next couple of years. And I can easily see high rise development all along the length of the Uxbridge Road from Ealing Broadway to West Ealing …and probably creeping in to Hanwell now the 6-storey Peugeot site plans have been agreed.